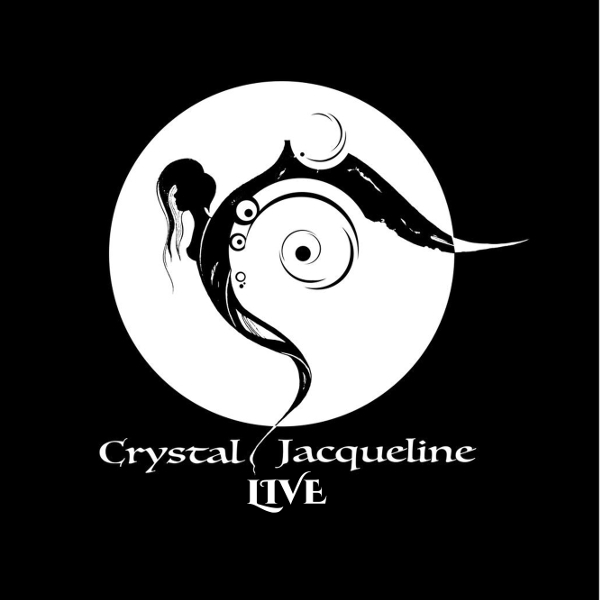 In June 2017 Crystal Jacqueline and her band performed at the Sonic Rock Solstice Festival in Worcestershire, England where someone slyly bootlegged their performance, producing a homemade CD and offering it for sale in stalls the next day. Icarus Peel just happened to be browsing and when he made it known that he was in the band, a considerable discount was offered and accepted. Icarus and Jacqueline listened to the CD on their long drive home and were so impressed with the quality that they decided to tidy it up a bit and persuade Mega Dodo to bootleg the bootleggers, thereby making it available to a much wider audience. So on September 28, 2018 Mega Dodo released this superb performance on both vinyl and CD. Crystal’s set that memorable evening drew on songs from her first two solo albums, Sun Arise and Rainflower, some that were also previously released on FdM. Crystal and her band gave a strong performance with her powerful and beautiful vocals breathing new life into these songs, many with extended jams by Icarus Peel et. al. The trippiness of her neo-psych / gothic psych performance could not be better, especially so on her cover of Pink Floyd’s “Grantchester Meadows.” This is one of Crystal and bandmates' favorite songs and it shows. In point of fact, I assert that this performance out-Pink Floyded Pink Floyd! Icarus Peel was on fire that night, as evidenced by his psych rock excursion on “Siren.” Now when I get chills up and down my spine, I know that I have heard something special, which is exactily what happened on hearing Crystal’s dreamy rendition of “Fly a Kite” from Disney’s Mary Poppins, her performance trippier than anything Disney ever imagined. Their set ended with the extended flower power anthem “Love Is Light” from Sun Arise. And since no psych performance is complete without at least one drum solo, there was a short one to close out their performance. Even though I have singled out a few songs, the entire set is outstanding. Definitely one of 2018’s best releases.